Hi, I'm Sharron (26). Characterized as curious, easily bored and afraid to miss out. So always looking for a new adventure. The American dream is happening right here in Amsterdam. Fortune and fame seems to be in becoming a DJ nowadays, and it is everybody’s new passion. But how to distinguish yourself? What makes you a proper DJ? And who decides that? But most of all, what is the road like to get there in the first place? For all my questions I met up with Raven Verhoef. Known as DJ Raaf, a 22 year old Amsterdam based DJ who was mentioned in an interview before with Milan Meyberg as ‘one to watch’. What’s there about him besides his sets and baby blue eyes? And how is he planning his ‘Amsterdam dream’? Oke, so tell me Raaf. You’ve been in this DJ thing since you were seventeen. How did it all start? So is this what you have always wanted since you were seventeen? And what inspired you as a DJ, to be who you are now? In my sets I play selections of house, deep-house and techno, laced with poppy hooks and with heavy emphasis on groove. And what I try, is to keep my sets a little female friendly. And what are you planning for the future? Tell me about that Absurd friend of yours. And your ultimate future place to have a gig? OK, and now a little less hard to accomplish… Summer plans maybe? You can listen to the mixtape Raaf made for Overdose.am together with Absurd. Raaf will be up next at the Studio 80 on Black Box, November 21th. 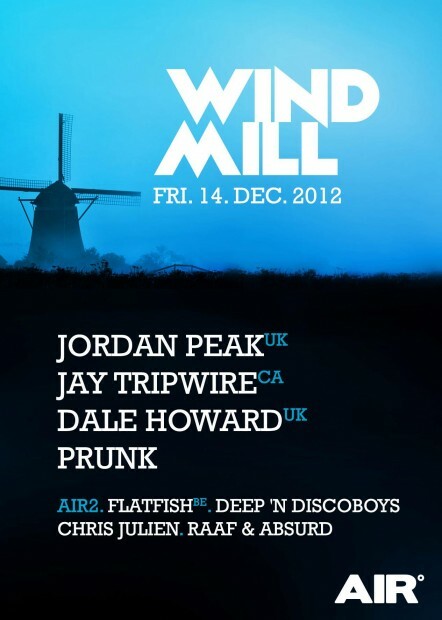 Together with Absurd he will play at Windmill the 14th of December.